File image of San Jose City Hall. 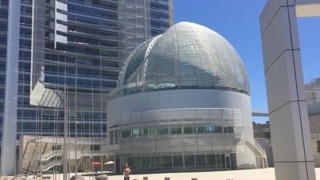 People returned to San Jose City Hall Tuesday morning after the smell of natural gas prompted a temporary evacuation, according to the city's fire department. The evacuation was triggered when people inside and outside of the building smelled gas, according to the fire department. The building was evacuated for a short time while firefighters inspected every floor with gas detection devices, according to the fire department. PG&E shut off the gas to the building and was testing gas lines as of around 10:30 a.m., according to the fire department.